In 1900 two prospectors were traveling through Alaska. Their horses were hungry and so when they spied a distant green hillside they thought their luck was in. They were not wrong. They had stumbled upon a massive deposit of copper ore, exposed at the surface. Industry on a massive scale quickly followed. Yet by 1939 the copper was exhausted, the place abandoned. 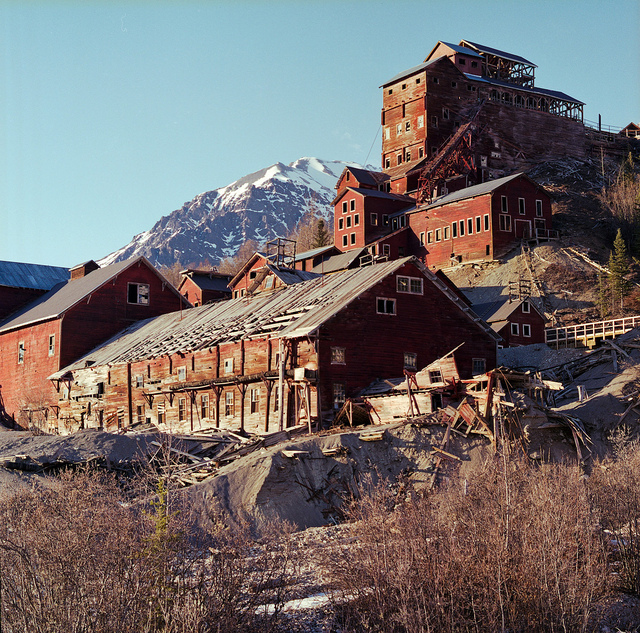 This is what remains of the Kennecott Mine Camp.